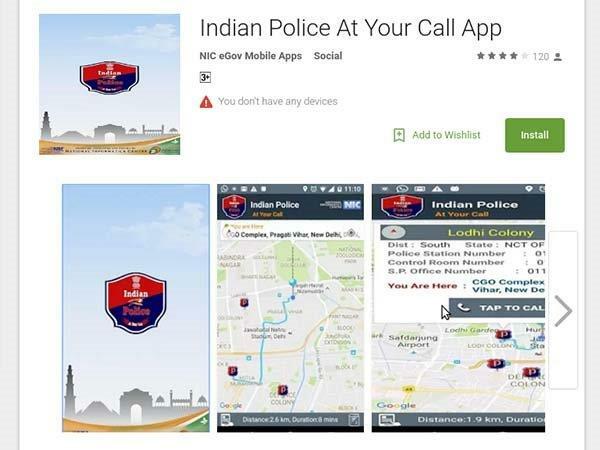 Spot The Nearest Police Station Just by Downloading The Modi App For Free! 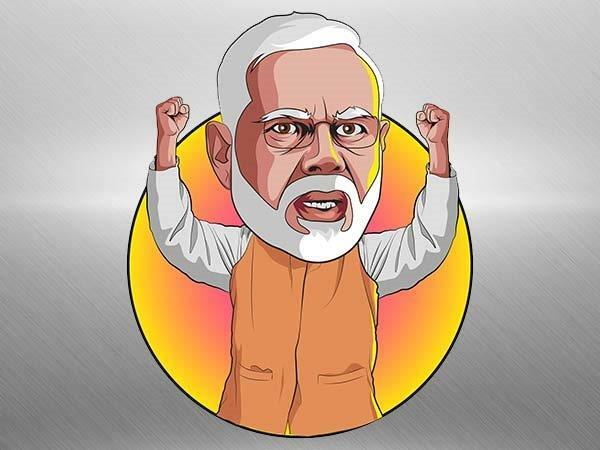 Narendra Modi government recently launched the new Indian Police at Your Call app that helps citizens to locate the nearest police station along with the details when in an emergency. 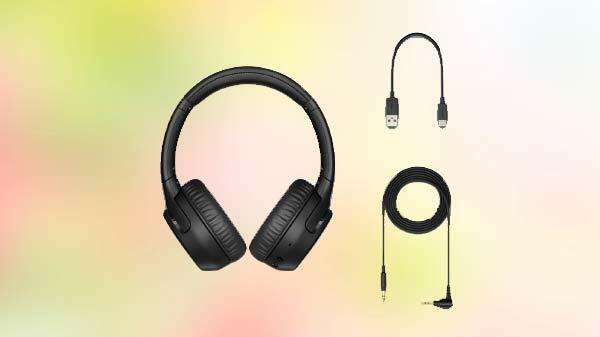 With the aim to make India go digital, the Government of India has recently announced that they will be introducing a few apps in a day to make the country go cashless, and depend on more on the digital platform. 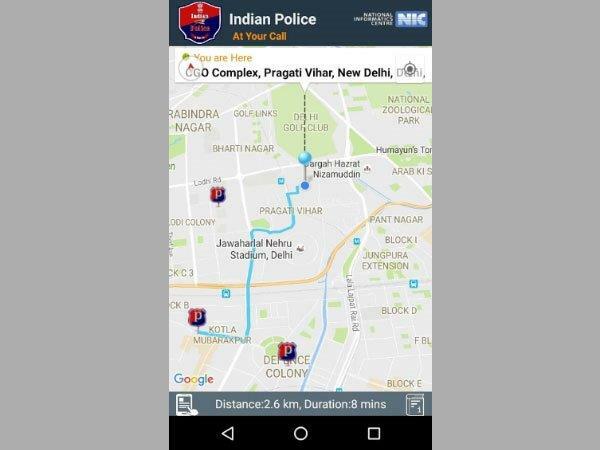 PM Narendra Modi launched an app called Indian Police at Your Call to help citizens locate the nearest police station regardless of where the person is. This Android and iOS supported app not only provides the list of nearby police stations, but also delivers added information about the phone number, the distance of the police station from the person's location, and they will take to reach the station. SEE ALSO: Is Downloading Narendra Modi's Official App Safe? Let's Find Out! Here's how the Indian Police at Your Call app works and lets you get all the details of the nearest police station in an emergency. 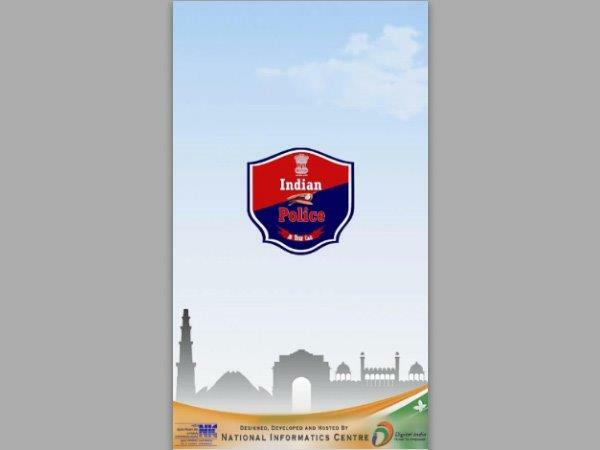 Available for both Android and iOS users, the Indian Police at Your Call app can be downloaded from the Google Play or Apple App Store for free. 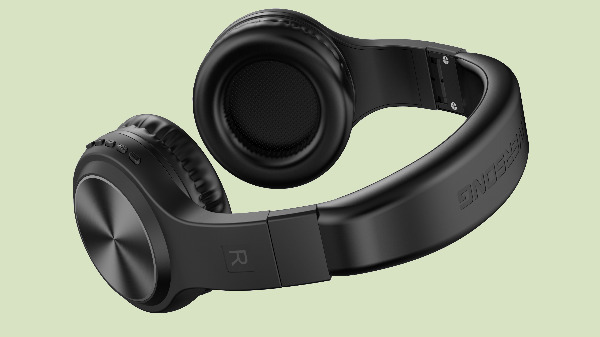 Ensure the GPS of the phone is working, and you have a good internet connection to make the app work accurately. 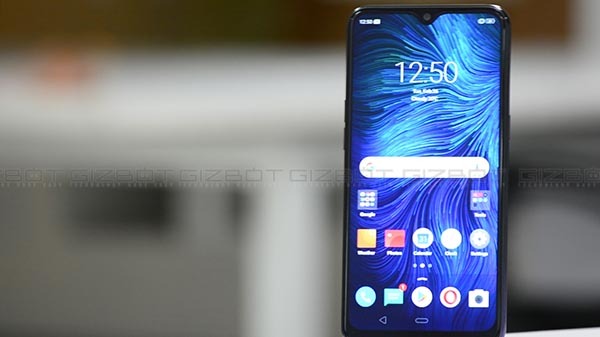 After the download is over, open the app and register yourself after which the app will supposedly read you location via GPS as it works on GIS Map based interface, which can easily locate the nearby Police stations in minutes. The Indian Police at Your Call app after tracking the nearby police station will also provide the police station number, the control room number, along with the SP's office number. However, no mobile numbers will be available. After receiving all the details of the nearby police stations, the app also provides the ability to make a call to the number provided by clicking on the 'Tap to call' option available within the app, in a case of an emergency. 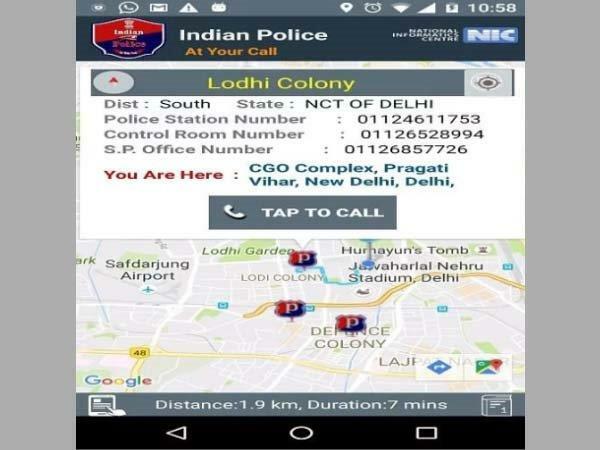 The Indian Police at Your Call app make it easy for the citizen, to spot the nearby police station regardless of where they are. By launching this app, Narendra Modi government is expecting to drop down the crime rate drastically.